Warm and spicy with just a hint of sweet vanilla, like the real deal right out of the oven! A seasonal favorite with a mellow amber color. Ingredients: Saponified coconut, palm, olive, soybean, castor, and grape seed oils. Turmeric powder for color. 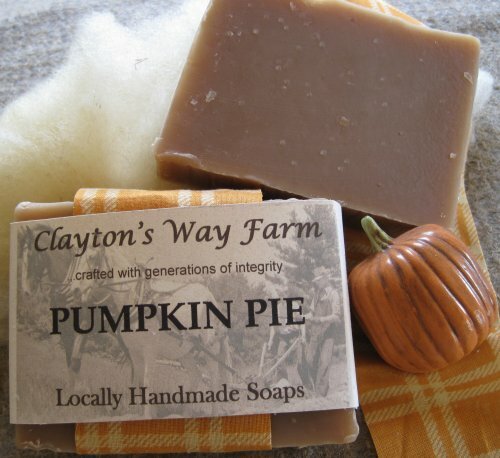 Pumpkin fragrance oil.